Testimonials - CCI Construction, Inc.
From the start of our project the guys at CCI were great to work with. They helped us sort through our plans to come up with the most effective procedure for bidding the job. Through the bidding process it really felt like we had someone on our side who was looking out for our best interests in terms of cost, quality & thoroughness. They wanted to make sure we got everything we needed from each subcontractor in their initial bids to prevent any change in the scope of work later on that could result in additional costs that went beyond our projected total budget. As construction began they continued to work with us on managing the costs and streamlining efficiency. They directly employ a few different carpenters with multi-faceted skill sets, this helped us in minimizing some costs by reducing the number of subcontractors we had to hire. 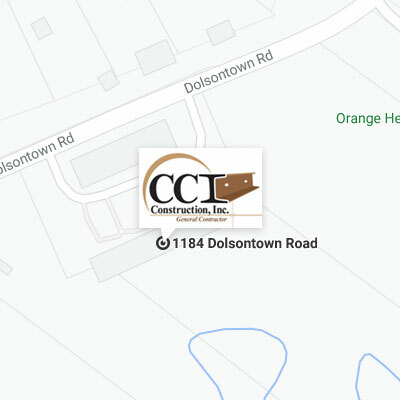 CCI was able to perform much of the masonry, framing, interior and exterior finishing using their own employees as opposed to third party companies and this resulted in better value for us. In general everyone at CCI had a friendly and easy to work with demeanor. Over the course of our project, which was a café/restaurant from the ground up, it felt like we had a good team working for us- a team that had our best interests in mind and who wanted the final result of the project to be a completed building that met all our standards for quality & functionality. I wanted to write you a thank you letter stating not only how appreciative I am for the work you have done with us for the past several months and walking us through the system so after many, many months that we are in our new office. You have been most helpful and patient and instrumental to making our thought and dream become a reality. Many thanks go to Eric and Joe for their patience, understanding, professionalism and attention to detail to ensure everything was not only completed on time but also done to the high standard. Eric, both you and Joe went above and beyond to ensure everything came out just as we planned and better. Thank you for not only meeting but exceeding our expectations. In today’s business climate, you can say what they want to your customer, but to deliver a great product in a timely fashion is something one rarely sees in today’s business world. Thank you for setting a good example of how business should be done in today’s society. It is recognized and appreciated and acknowledged. Again, thank you on behalf of all the doctors and staff and most importantly the patients which we strive to serve in the same manner you have assisted us along with this project. What a pleasure it was to work with CCI on our campus! This was my first building project so I didn’t know what to expect. CCI showed great patience in dealing with myself as a novice and with our many changes during the process. They were always willing to go the extra mile, and are a bunch of the nicest guys you will meet. They offered phenomenal expertise and I am extremely grateful that we had the privilege to work with them. CCI is thorough in planning, extremely informative, and express care and concern for their projects. That alone established the type of trust and confidence that made working with them extremely easy. I had so much peace throughout the entire process. They made us feel safe and secure; and when all was said and done, they ensured us that our campus was going to look GREAT….and it does! I absolutely look forward to working with them again on our next big project. We have enjoyed an excellent long-running relationship with the team from CCI. CCI works collaboratively with us when developing project budgets and timelines, ensuring we are as efficient as possible with our resources. The CCI team always completes our projects on time and on budget, with full attention to the finishing details. The YMCA of Middletown, in Middletown N.Y. recently opened a beautiful new swimming pool as our newest addition to our main facility. CCI was the contractor chosen by the YMCA, and we are very pleased with the relationship during and after the construction. All projects have their challenges and ours was no different, but all through the ups and downs, I found their staff to be of high integrity, very transparent, and most importantly, they delivered on the job when they said they would. I highly recommend CCI for your next construction project. We are delighted with our experience of working with CCI Construction over the duration of our building project. We have found all the staff to be friendly, cooperative, helpful and very professional. It was a pleasure working with the team. CCI Construction has now successfully completed various building projects at our Church. Their expertise and experience in construction of diverse and unique projects made them the company of choice. We have found the CCI Team to be refreshingly co-operative and attentive to our needs. We have no hesitation in recommending CCI. 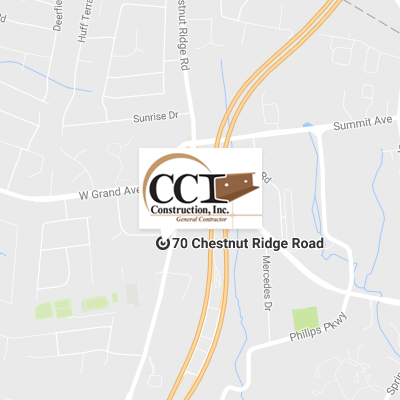 I would recommend CCI Construction highly - the multiple projects they have perform for us has been demanding with rigid schedules and uncompromising budgets. CCI has always been professional, proficient and regularly working on off hours to complete tasks that would otherwise impact operational procedures. We have enjoyed working with CCI Construction for many years on various commercial interior projects. Your team of construction professionals bring not only the construction knowledge required for a project we have designed, but a level of honesty and integrity to perform the required work in a manner that has a first class outcome. It is also appreciated that you can offer up value engineering options at times for our designs so that our clients can still be able to enjoy the intent of our design but with a potential cost savings at the end of a project which you seem to always be able to complete on time. Thank you for making our job easier in the complicated design and construction world. As an Architect, I’ve worked with CCI Construction on a variety of complex projects within both the traditional Design/Bid/Build process, as well as the Design/Build collaborative team approach. In my experience, CCI is committed to working in the best interests of the client, working to solve problems creatively while keeping within the Owner’s budget. Their staff is proficient, professional, industrious, and experienced which enables them to deliver a successful project in a professional and timely manner. I just wanted to express my appreciation for the quality of work and overall professionalism exhibited by everyone on your staff. It was, we feel, a quite fortuitous introduction when Dr. Saint first “imposed” CCI as their contractor for their work in Montvale. Since then we have done a number of jobs together ranging from Dr. Perl’s surgery center to the cosmetic upgrades on the headquarters for World Gourmet. In the end, it’s all about pleasing our tenants. Every job has gone without a flaw and elicited compliments from our tenants. We appreciate how good you have made us look and look forward to a long, mutually beneficial business and personal relationship.